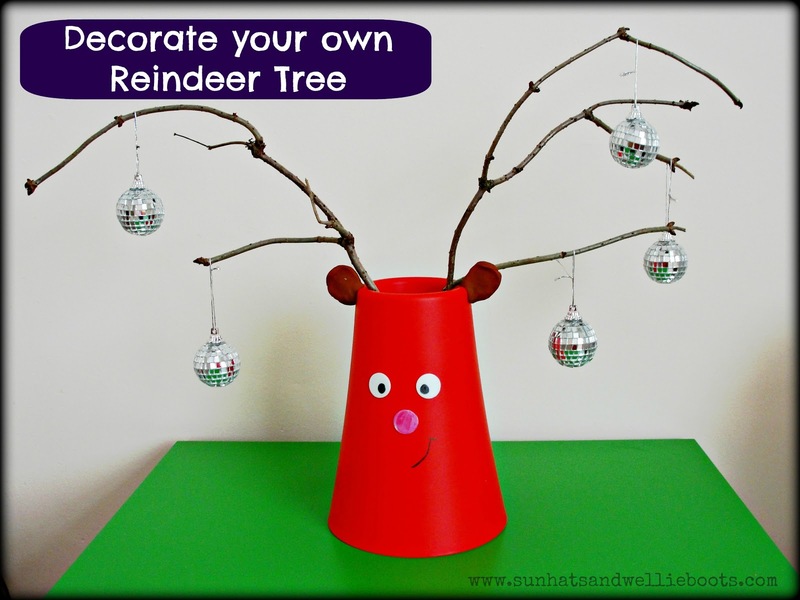 This Reindeer Tree makes a great Christmas display & is super simple for all ages to create. 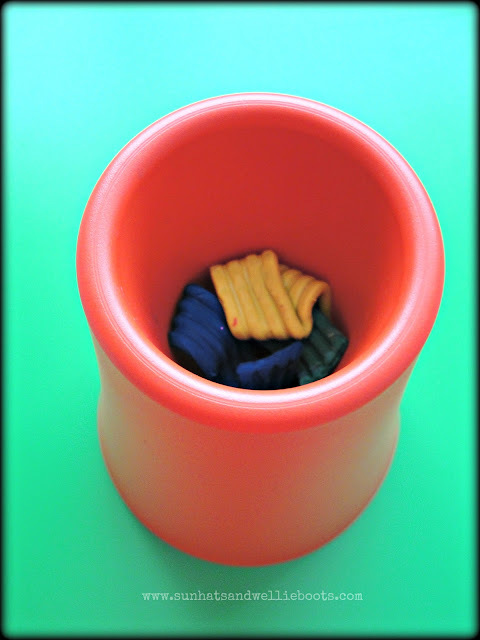 To make it we used a plastic vase (a bargain from Ikea at 19p) a little plasticine, a few small tree branches, & 3 sticky dots. 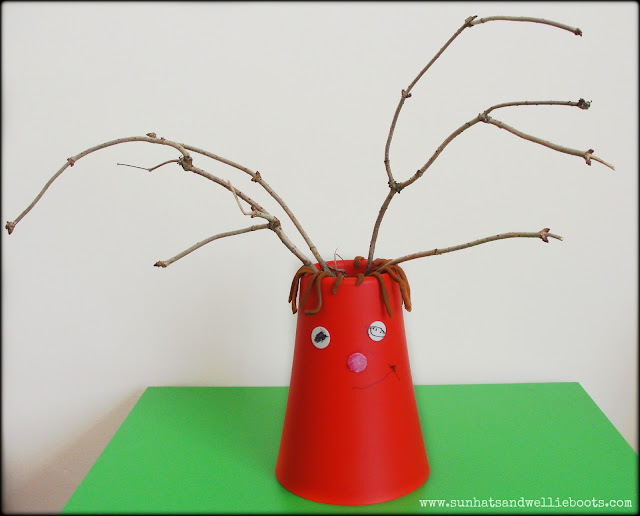 Minnie started creating her reindeer by adding a few strips of plasticine to the bottom of the vase, & then pushing her chosen twigs to make antlers. Then she added stickers for eyes & a nose, & drew on a mouth, before adding some brown plasticine to create hair for her reindeer. She then set about decorating him with her Christmas decorations. 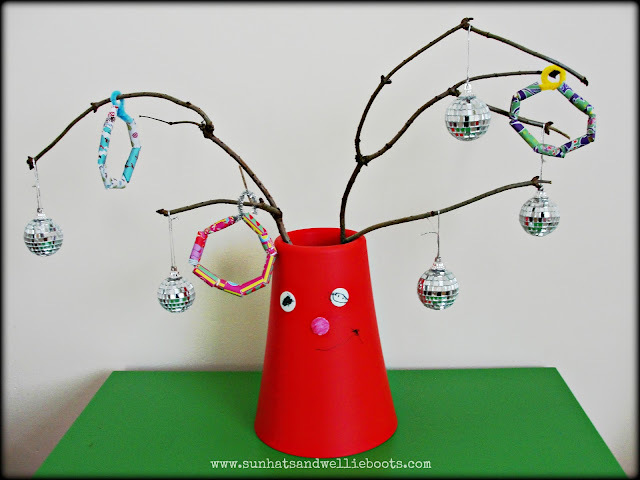 A simple activity & a fun way to encourage hand-eye coordination, fine motor skills & creativity. The great thing about this Reindeer Tree is that it can be decorated again & again, with opportunities to explore patterns, number, size, & weight as different decorations are added to the antlers.